The federal government has been advised to speedily reach a consensus with the labour unions and increase the minimum wage for civil servants in the country. 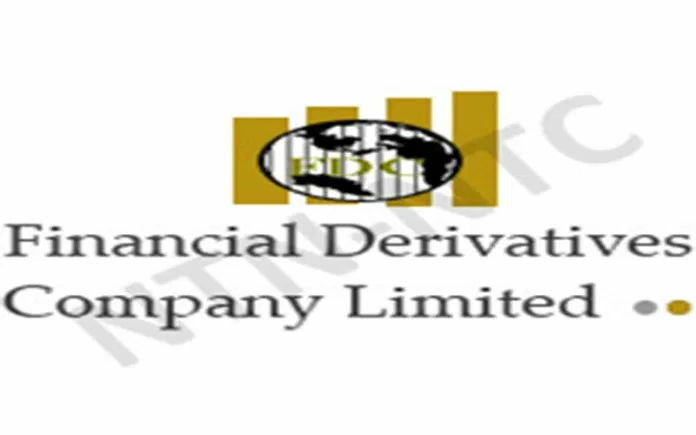 The Financial Derivatives Company Limited, which gave this advice in its latest economic bulletin, pointed that although there are strong arguments in favour of and against raising minimum wage in the country, the benefits outweigh the costs. While the report noted that in “a perfect world,”it would be ideal for employee wages to be determined by market forces, it however explained that a minimum wage helps mitigate the imbalance of power between employers and low-wage workers. With the absence of a wage floor, employers would exploit workers, thus hampering the purchasing power of low income earners, the report stated. The first National Minimum Wage Act (1981) had recommended a monthly minimum wage of N125. This was revised upwards in 1991 to N250 monthly, and again in 2000 to N5,500. In 2011, under the administration of President Goodluck Jonathan, it was raised to N18,000 per month. The minimum wage has been a hotly contested issue between the organised labour and the federal government in the last two years. The Nigerian Labour Congress (NLC) and other labour union factions have been urging the federal government to increase the minimum wage to N56,000 from the current N18,000 (the minimum wage applies to organisations, which employ at least 50 workers). It appears the government is beginning to yield to the demands of the labour unions as the President recently inaugurated a 30-member tripartite committee to negotiate the revision of the National Minimum Wage for workers in the country. The committee’s members represent federal, state and private sector interests. The labor unions had cited deteriorating economic conditions as a major reason for the demand for higher wages. The last minimum wage review was in 2011 when the economic landscape was radically different from current economic realities. The law requires that the minimum wage be reviewed at least once every five years; this review is two years overdue. According to the FDC report, in 2011, the minimum wage was equivalent to $111 monthly and $3.71 per day, which was above the international poverty line of $1.9 per day stipulated by the World Bank. “Today, the current minimum wage is approximately $45 monthly and $1.49 per day, leaving all minimum wage earners living in extreme poverty. “To worsen the situation, some states still owe their workers’ months (sometimes years) of salaries and pensions. “In the same vein, the purchasing power of fixed income earners, particularly the minimum wage earners, has halved as the consumer price index (CPI) and, in essence, headline inflation has almost doubled,” it added. Also, it showed that average consumer price index (CPI) in 2011 was 120.73 but jumped by 92.29 per cent to an average of 232.15 in 2017. Similarly, headline inflation jumped by 53.5 percentage points to an average of 16.55 per cent in 2017, compared to 10.9 per cent in 2011. “It is relatively more expensive to borrow from financial institutions today than it was in 2011. Additionally, the exchange rate which averaged N161.63/$ in 2011, depreciated to an average of N403.30/$ in 2017, which further eroded purchasing power. “It is not coincidental that suicide rates have spiked in the last few years. Although we cannot establish causality at this time, anecdotal evidence suggests that there is a correlation between the deterioration in the macro economy and high suicide incidences. “All these factors point to the fact that an upward wage review is not only justified, but should be done swiftly,” it stressed. While advocates for higher wages argue that the socio-economic situation in the country has changed drastically from what it was six years ago, and that higher wages would help workers make ends meet and reduce inequality, among others, opponents argue that high minimum wages will reduce labour demand, hurt small businesses, reverse the positive inflation gains and create a huge budget deficit. “What is certain is that a higher minimum wage will boost the purchasing power for low income earners, which will in turn increase their demand for goods and services and engender economic growth. “Furthermore, it will increase access to basic health care and primary education. In effect, higher minimum wages could lead to economic growth. If the federal government agrees to increase the minimum wage to N56,000 a month (or more likely a lower amount following negotiations) this would be equivalent to $138, which translates to $4.63 per day and is above the international poverty line stipulated by the World Bank,” it added.